The lasso is silicone is thinner than before and slips off easier. Poor production. 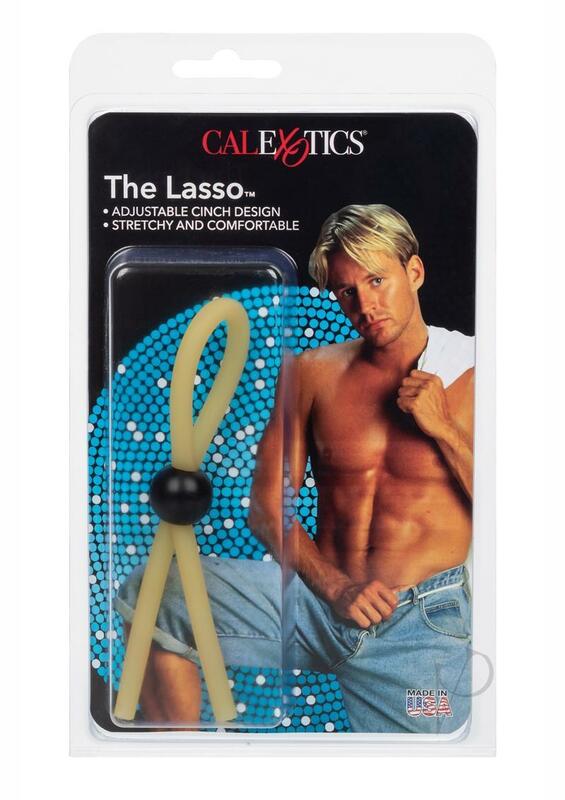 The adjustable lasso ring is a must for any man seeking to provide prolonged pleasure for a partner and for himself! Once affixed and tightened according to personal size and comfort level, the lasso works to ensure that performance time is extended while providing superior and sustained stiffness of erection. Adjusting the lasso's tightness can be a touch challenging during the first few uses of the product, which is able to be adjusted while in use. In order to reduce pulling, I advise shaving the entire groin area prior to affixing the lasso.